December 5 is celebrated as International Volunteer Day (IVD) every year to commemorate the achievements of volunteers toward creating a better planet with their contributions stemming from the programs relating to poverty eradication to fight against HIV/AIDS and climate change and many others. Volunteerism is a powerful tool to promote people’s wellbeing whose determinants are as much different as they are interlinked to each other, starting from viable ecosystems that can sustain peaceful and sustainable human activities to enhanced opportunities for equitable economic development based on quality and affordable education and health systems. This is the reason volunteerism is perceived as a valuable tool to support the implementation of 2030 Agenda for Sustainable Development that comprises of 17 Sustainable Development Goals (SDGs). Last December Nepal had the opportunity to have a special guest to IVD program. Olivier Adam, the executive director of United Nations Volunteer has the dual mandate of promoting volunteerism and mobilizing volunteers across the world. Adam’s visit to Nepal was instrumental to take stock of the work of local and international volunteers who are contributing to the achievement of “Envisioning Nepal 2030”, the flagship strategy that sets the government priorities to create a more prosperous and equitable nation. Fortunately Nepal can count on an impressive volunteerism ecosystem that every single day contributes to the development of the nation. Work of volunteers at grassroots level can make difference for the positive transformation of the society. The government has also accorded priority to volunteerism. Establishment of National Development Volunteering Service (NDVS) is a testimony of Nepal’s resolve to harness power of volunteerism. Newly established National Youth Council can also be taken as an important milestone to mobilize and engage local youths for social change. Around the Asia Pacific region, there have been long term efforts to promote volunteerism, creating new synergies and partnerships between government, civil society and private sector. Countries elsewhere have given high importance to volunteerism. In the Philippines, for example, volunteerism has an impressive formal and legal infrastructure with specific laws to support and facilitate its outreach and contributions. There is a national government body, namely Philippine National Volunteer Service Coordinating Agency, mandated to help, coordinate and monitor work of local volunteers. Nepal can do more to fully expand volunteerism across its boundaries and mobilize youths for wellbeing of needy people. With the devolution of powers to provinces and local levels, local administration has the opportunity to incorporate programs for development. There is a ray of hope at the centre. Lots of discussions at the policy level have taken place to institutionalize volunteerism. One of the outcomes of Adam’s visit to Nepal was creation of Nepal Volunteering Network, (NVN) as a loose body that will be responsible for supporting people to reach Nepal’s development goals. NVN would include civil society organizations, international volunteers and private sectors that have an important role not only as corporate social responsibility, but rather as part of their corporate volunteerism strategies. The diversity of membership is expected to be one of the best strengths of this network. Awareness generation among different people in the society, sharing best practices among members and organization of joint initiatives like IVD, and raising profile of volunteer sector in could be other priorities of the network. But the government will have to play an important role in setting up such coalition that will offer an incredible opportunity to promote collaborations and partnerships between different institutions across the country. National Development Volunteering Service (NDVS) should be considered as the best practice within the entire Asia Pacific region. It should play important role in daily administration of the network. 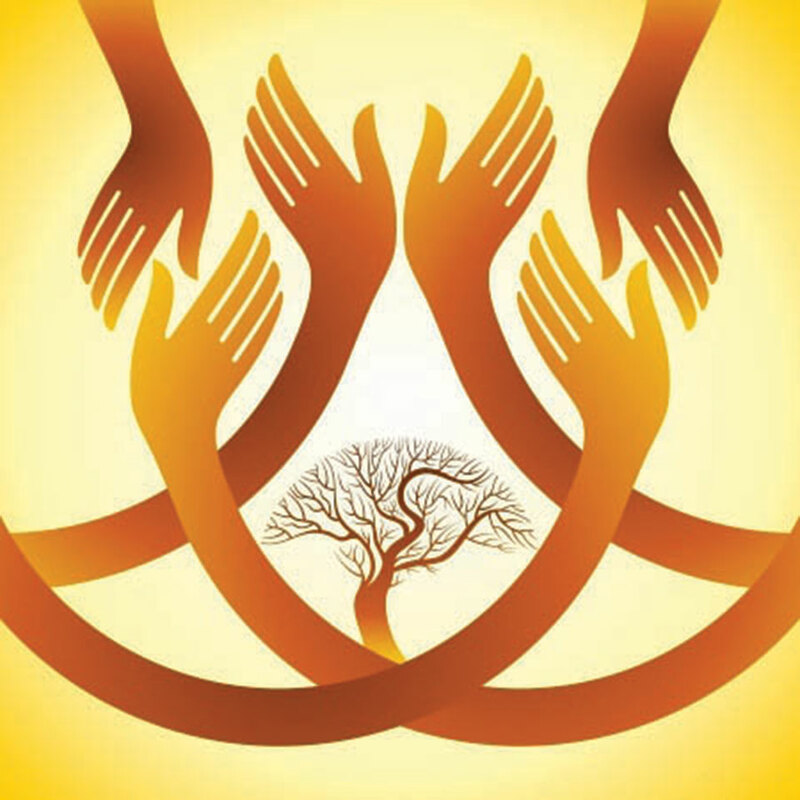 A unique strength of volunteerism is it is confined to one age group or particular agency or sector, but, its crosscutting nature makes it more adaptable to support different initiatives in multiple domains. For the first time, there has been a strong presence of youths with disabilities, a group still prevented from living up to their potential. Volunteerism improves and makes the lives of people better day by day, but most importantly it helps the personal development of many citizens, especially the youths, who have a large role to play in charting Nepal’s future. Yet, we have not been able to promote volunteerism significantly. Policymakers should realize the significance of volunteerism to gear up social development. Volunteerism can offer them a springboard for the personal and professional success that directly fosters prosperity of the country. Establishment of Nepal Volunteering Network could go a long way in contributing to Nepal’s prosperity and development. NVN could become a catalyst to propel economic and social development. 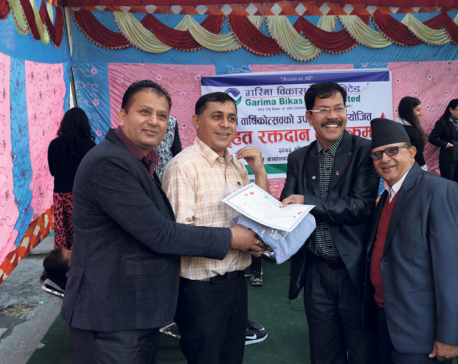 KATHMANDU, Nov 22: Garima Development Bank Ltd (GDBL) organized a blood donation program on the occasion of its 9th anniversary.